What are the historical and social contexts in which child sexual abuse has occurred? What is the extent of child sexual abuse in the English-speaking world and who are its chief perpetrators? What factors enable institutional child sexual abuse? How do children disclose child sexual abuse? How reliable are their disclosures? What are the effects of child sexual abuse on development across the lifespan? 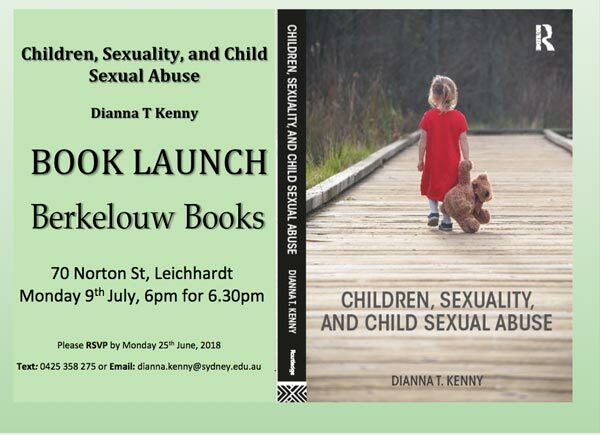 Below is an introduction to Children, Sexuality, and Child Sexual Abuse, from the book's launch. The eminent 19th century German psychiatrist and sexologist, Richard von Krafft-Ebing, said, Few people are conscious of the deep influence exerted by sexual life upon the sentiment, thought and action of man in his social relations to others.